As we all knew that disable people are different from the normal person. So, different and unique inventions are here to admire them. Those people who want new wheelchair then they need to visit the AVE care medical shop and choose the specific one from the corner of a wheelchair for sale. 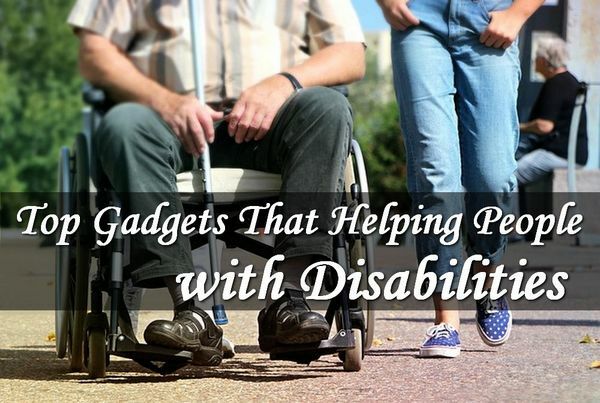 Here are some important gadgets that are specifically designed for disabled peoples. 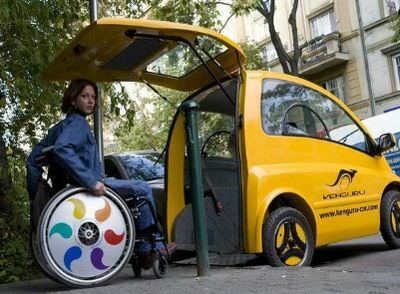 Inventors from Spain presented a device that allows you to drive a car without feet, using only one hand. The manipulator resembles an ordinary joystick. It allows you to slow down, add gas, turn and switch speed. 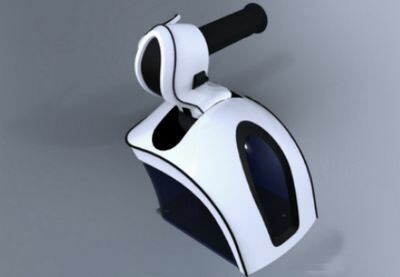 The device will allow people with disabilities to comfortably drive a car. In addition, auto electronics can be customized for themselves, given the coordination and power features. An amazing gadget for people with problems of the musculoskeletal system came up in Turkey. The fundamentally new design wheelchair, called Tek RMD, allows people with paraplegia to stand on their own, making it easier to move and perform daily tasks indoors. As a basis, the developers of Tek RMD took the popular today segway, and the human body is fixed with special clamps. Dave Lee designed a fundamentally new sports equipment that will allow riders to return to the ski slopes, who until recently could not do so due to their state of health. 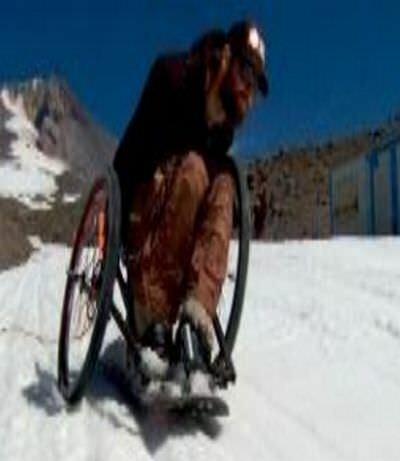 To implement this project, Dave Lee pushed the story of professional snowboarder Tim Ostler, who after an accident in a half-pipe turned out to be paralyzed below the belt. But thanks to Dave Lee’s snowboarding, Tim’s return to snowboarding took place. Community Cars has offered an interesting solution for people with disabilities who want to drive a car. The device is same as a shell than a familiar car. The electric car Kenguru EV is made of carbon fiber. It can reach speeds up to 45 km / h. The battery lasts for 70-110 kilometers. At the rear of the car, there is a double door that allows a person in a wheelchair to get into the car without assistance. At the peak of the popularity of smart watches. Meanwhile, these watch appeared with the design for the deaf and hard of hearing. The device responds to alarm sounds, such as fire alarms, emergency messages, boiling water sounds, baby crying, etc. shake and message on display. 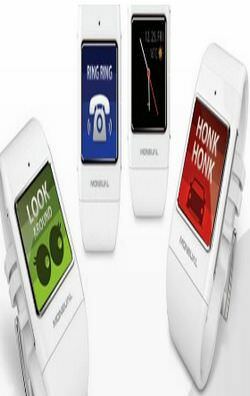 There is also an emergency mode when the watch calls the rescue service on behalf of the user. The Communicaid system, created by designer Jae Pun Lee, is designed to help people who are hard of hearing and have no hearing impaired. 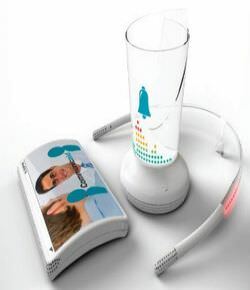 The system includes a visual-sound station and special glasses that visually notify a deaf person about such sounds as the sound of a doorbell, fire alarm, and phone call. The user will see these sounds as blinking icons. Points perform the same function on the street, only the icons are projected on their glass. Addition to the system is a special communicator, which is designed to help people communicate with other people. The company Griffin decided to make it possible to use gadgets with touch screens for people with disabilities, and more precisely for those who have problems with their hands. 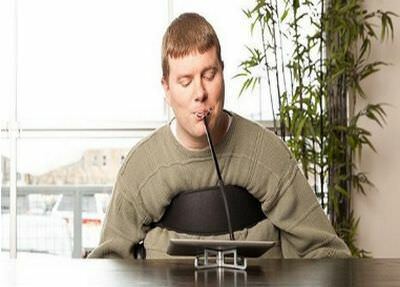 It is the world’s first stylus, which is controlled by the mouth. The MouthStick stylus is ideal for the iPad, and it can also be used to control any touchscreen gadget. The ergonomics and flexibility of the stylus allows a person to manipulate the screen not to strain the muscles of the neck, and therefore not to get tired. If necessary, the MouthStic stylus can also be used to work with a regular keyboard. The Visual Assistance Card concept allows blind people to maintain the confidentiality of bank card data and drive the code on their own. The Visual Assistance Card has the numbers on which are printed using Braille, is placed on top of the reader. 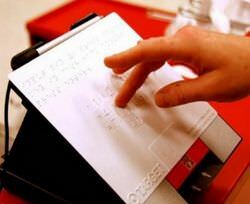 This allows a blind person to freely enter his secret code and pay for himself with a credit card. The Braille Interpreter font interpreter for the blind is ideal. In the cohort of these gadgets can be attributed, and a digital correction screen for people with visual impairment i-Free.